You might have already heard about YouTube and Vimeo rolling out support for the new HTML5 video. What many does not know is that the video codec that they are using now is a proprietary one called H.264. You would think that if Google is supporting a format, it would become the standard. Not quite says Mozilla. 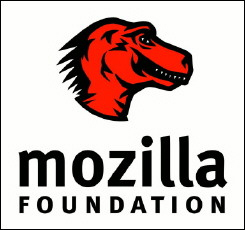 Mozilla's just recently released browser, Firefox 3.6, it is revealed, supports the open-source Ogg Theora instead of the proprietary H.264 codec that Google seems to favour. The decision to use Ogg Theora and not H.264 in Firefox is mainly due to the licensing cost. While giant corporations like Google can afford to pay the $5 Million annual licensing fee, it is not reasonable to expect Mozilla to pay something like that. For Mozilla, H.264 is not currently a suitable technology choice. In many countries, it is a patented technology, meaning that it is illegal to use without paying license fees to the MPEG-LA. Without such a license, it is not legal to use or distribute software that produces or consumes H.264-encoded content. Indeed, even distributing H.264 content over the internet or broadcasting it over the airwaves requires the consent of the MPEG-LA, and the current fee exemption for free-to-the-viewer internet delivery is only in effect until the end of 2010.